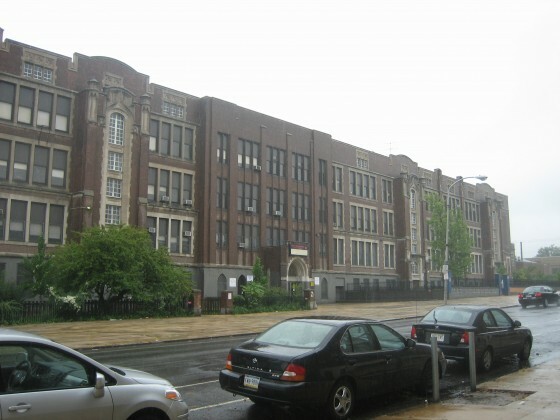 What’s Going to Happen to the Old West Philadelphia High School Building? For those who don’t pay close attention to these things, the children of Philadelphia returned to school today. 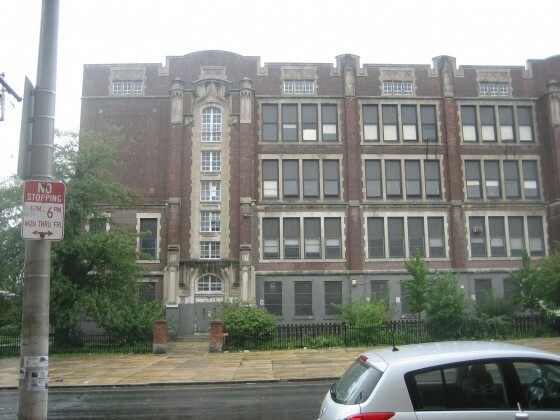 About eight-hundred of them will (occasionally) be attending school at the new $66M West Philadelphia High School at 49th and Chestnut Sts. Whether or not you think it’s appropriate for the financially strapped School District to be spending that kind of cash on new facilities, you can’t understate the energy that this new building will bring to its students. While the new building is sparkly and new, it’s with some regret that we say farewell to the former West Philly High, which is as architecturally striking outside as it is outdated and worn down inside. 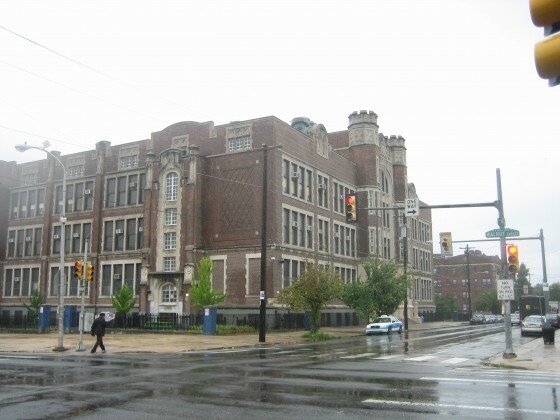 Old West Philly High, at 47th and Walnut Sts. With the kiddies having moved on the greener, or at least newer, pastures, we’re left with a very large, very attractive, but very old building very close to improving Cedar Park and already-gentrified Spruce Hill. Right across 48th St., sits a now vacant lot which formerly held Windermere Court, a ninety-unit apartment building that caught fire in January and was demolished about two months later. 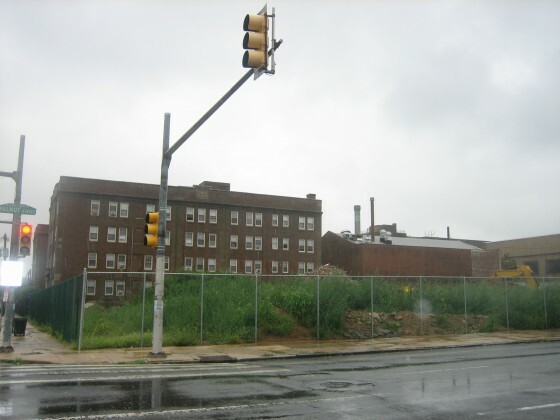 What we see on this stretch is an opportunity for a developer, or likely multiple developers, to make a huge difference for the Walnut Hill neighborhood. 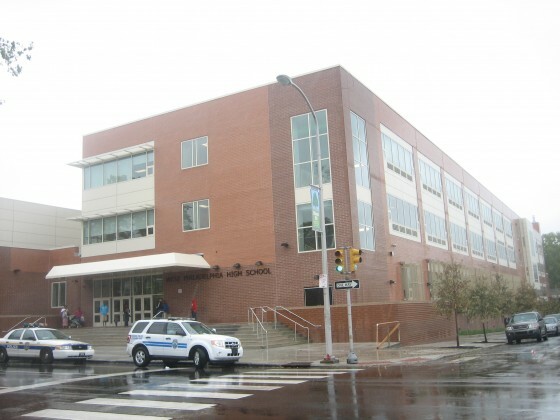 The school has not yet been placed on the market, but once it is, we imagine there will be plenty of interest, providing there are no significant environmental concerns. Maybe Penn will be able to do something with the enormous building? If anyone can find a way to make the numbers work without tearing down the building, our money’s on Penn. As for 4800 Walnut St., we’ll hopefully have some more information on that property sometime soon. For now, we’re just going to have to wait and see exactly what the future holds for these two properties. Let’s just cross our collective fingers and hope that the school building doesn’t meet a fate that involves a wrecking ball.